Find a best nurseries from 75+ nurseries in Sharjah (Updated 2019). 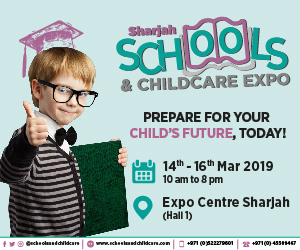 Find top nurseries near Al Butina, Al Gharayen, Al Heera, Al Qasba, Al Riqa, Al Sharq, Industrial area, Al Ramla, Rolla Square, Sharjah Industrial Area, Al Hisn Sharjah, Al Sharqan, Gold Souq and many other areas in Sharjah. For more help chat with our Nursery support team and find the perfect nursery for your little ones.